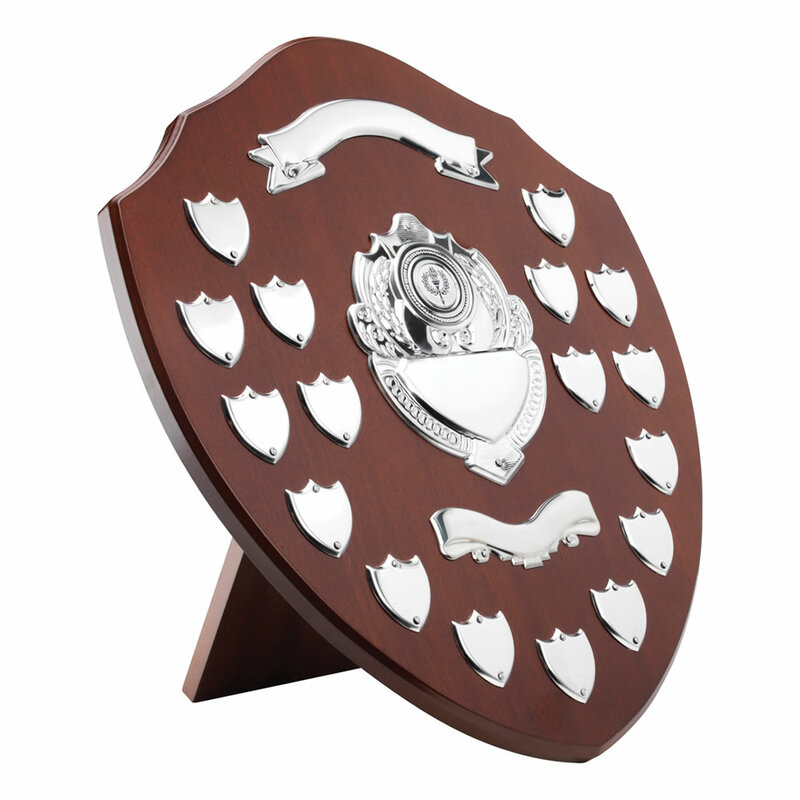 Classic wooden awards shield with multiple chrome plated plaques comprising: top scroll, centre plaque, bottom scroll, and 17 side shields. Ideal for schools awards, these traditional wood plaques are offered with engraving options for any of the top scroll, bottom scroll, centre plaque and/or the first perpetual plaque. 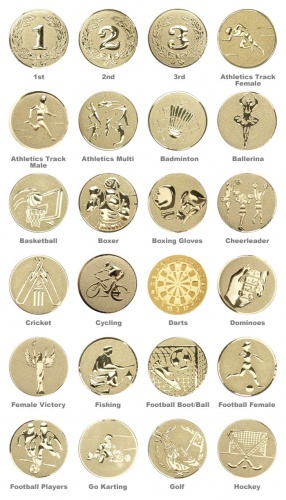 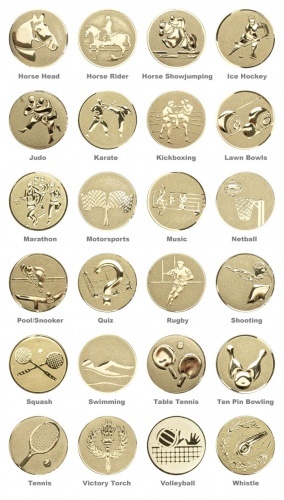 Optional 1in centres for 48 different sports, activities and achievements are available for the centre plaque, in gold, silver and/or bronze colour finishes.